How he'd describe his job to a 10-year-old: "I work on technologies that give your computer longer battery life." He's Intel's 'power cop': Cooper and his teams are the enforcers of power awareness. "In reviewing every new technology, whether it's a security feature, manageability, performance or new instruction, we look at it from a power perspective and then either set up a review with our experts or offer them help to make it better or more efficient," Cooper says. A career based on a seemingly contradictory question: "There's a lot going on under the hood, and how do you power stuff down while the system is on?" Cooper asks. "Between every keystroke, we're powering almost everything off and putting it back thousands of times per second." These actions are happening right now on the device you're reading this on -- it's happening without your knowledge, and that's by design. "That's the end goal with power management: You shouldn't know it's occurring." He benefited from invaluable guidance from a legendary mentor:Cooper attributes much of his career growth to the mentorship of Jim Kardach, who retired from Intel in 2012. (Read more: Jim Kardach: The man who named Bluetooth.) Kardach pulled Cooper into meetings with industry partners to work on new power interfaces and management schemes in the operating system, which became known as ACPI. "I cannot believe I got that opportunity and that was because of a mentor," Cooper recalls. 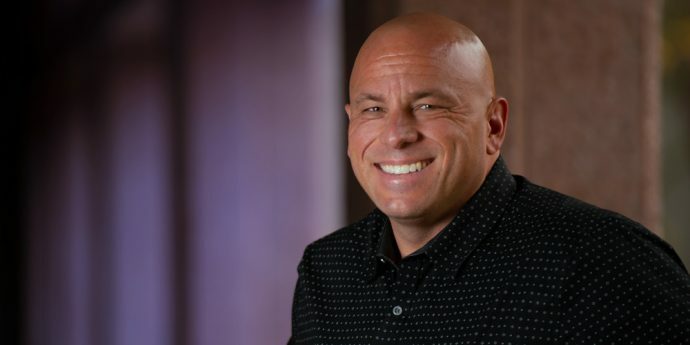 He now leads a mentoring program: Seeing an opportunity for a new program to foster and grow talent within Intel's client division, Cooper worked with others in the organization to create a formal mentoring program that's already resulted in a record number of advancements up the ranks. "Our standards were not lowered," Cooper insists. "What we're doing is getting people help in preparation and longer term mentoring ahead of time." Working on the next big thing in PCs: Cooper is involved in Project Athena, an innovation program led by Intel, that defines and aims to help bring to market a new class of advanced laptops that are purpose-built to help people focus, adapt to life's roles, and always be ready. "The PC is not a useful device when it's asleep," says Cooper, who uses his expertise to make the PC useful even while in an extremely low-power state. When not working, gone fishin': Calling Cooper a fishing enthusiast would be an understatement. Cooper fishes big game several times a year in Mexico, California and Oregon. He has even made it to the east coast of Canada off Prince Edward Island, where he caught a 1,250-pound fish. From salmon to steelhead to bluefin, he's caught them all.